For those Rothkos do not make a statement; rather, they raise a demand, or more precisely maybe, a question. The kind of questions, though, that the Kabbalists raised, the kind larger than the sum of their possible answers- nothing can exhaust them. 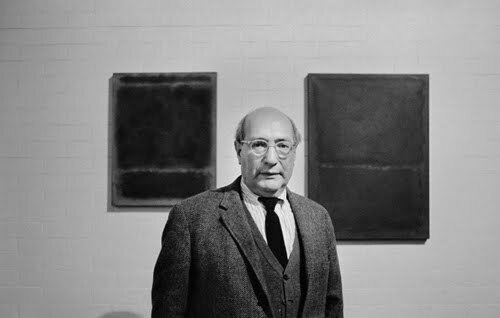 There is a moment in looking at those Rothkos when we stop looking at them and they start looking at us- at, and if we are not careful, if there is not enough of us there, straight through us. We can’t help ourselves; those Rothkos keep bleeding out of aesthetical categories and into ethical ones. Not, is it beautiful? But rather, how should one lead one’s life? This entry was posted in non-music writing on August 8, 2010 by jessewgoin. I find these words to be very, very agreeable. 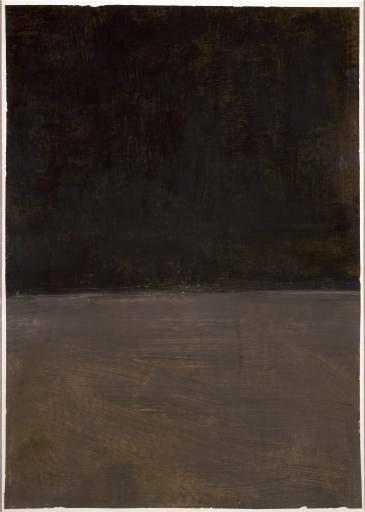 I saw an excellent exhibition of his black paintings recently at the National Gallery of Art. Those paintings were signposts for me. I felt like they understood me, and I liked them. I was challenged and encouraged.